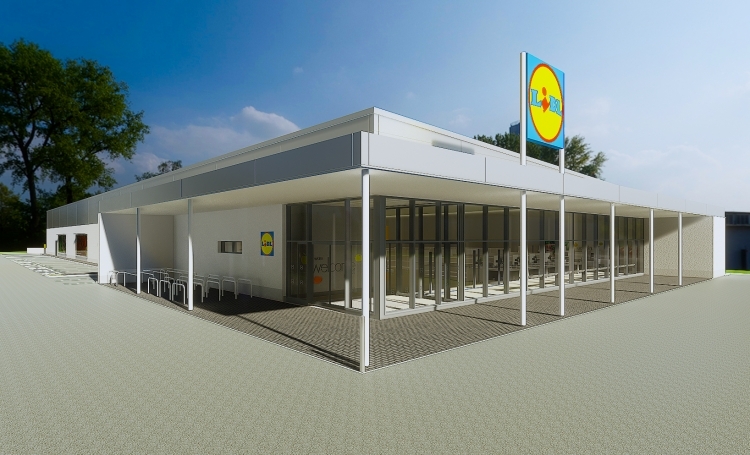 Lidl are proposing a new food store on land at Mercia Road, Gloucester GL1 2SQ. The proposed development comprises the demolition of the Imperial Commercials Gloucester DAF Trucks dealership and the erection of a new Lidl food store together with associated car parking, servicing and landscaping. The store will positively contribute to the surrounding facilities, services and employment opportunities, as well as enhancing the existing retail offer in Gloucester. The new food store will extend to 2,125 sq.m gross internal area, with a net sales area of 1,325 sq.m. Vehicular access to the site will use the existing access off Mercia Road. The store will be supported by 152 car parking spaces, including 8 disabled parking spaces and 7 parent and child spaces near to the store entrance. Secure cycle storage will also be provided. A trolley bay is located adjacent to the store entrance. Pedestrians will be able to access the site from a separate entrance off Mercia Road and two zebra crossings will be provided to safely connect the pedestrian access point to the store entrance. All waste will be stored within the warehouse area and will be collected at the same time as deliveries, thereby minimising HGV movements within the car parking area. •	Landscaping will improve the visual amenity of the site including soft landscaping around the boundary of the site. We, the undersigned, fully support Lidl's proposed application for a new food store at Mercia Road, Gloucester. We agree to our petition data being used to lobby local Councillors and Gloucester City Council. The Support Lidl at Mercia Road, Gloucester petition to Gloucester City Council was written by Jemma Cam and is in the category City & Town Planning at GoPetition.